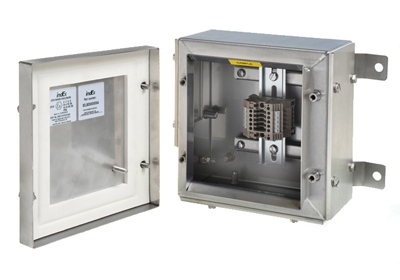 HC Controls Ltd in Stockton-on-Tees, has teamed up with IndEx Enclosures Ltd to offer a range of standard sized terminal enclosures. Our standard enclosure range gives you the most modern, robust and cost effective solutions for a wide range of applications. HC Controls Ltd can provide a reliable local service from our workshops in Stockton-on-Tees; junction boxes can be supplied fitted out to customer requirements, to include drilled/tapped gland plate entries, cable glands, blanking plugs, breather/drains, identification labels etc. certified for use in Zone 1 and Zone 11, for hazardous area use or assembled for general safe area use. Our estimating department will be pleased to receive your enquiries and discuss your requirements. If you’re looking for advice about junction boxes or interested in checking out our range, please don’t hesitate to get in touch with us today. A member of our team will be more than happy to help in any way possible. 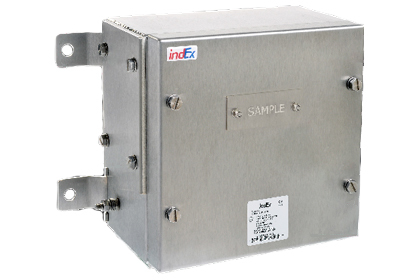 So for the finest quality junction boxes, HC Controls are able to offer expert advice. Get in touch with our team today, located in Stockton-on-Tees, on 01642 671681 to talk through your options for junction boxes, we’re always more than happy to help.